A prototype of the VA001 aircraft made its first flight in February 2015. Image courtesy of New Mexico State University Board of Regents. The VA001 UAV can stay aloft for up to ten days without refuelling. Image courtesy of Pegasus Actuators GmbH. The VA001 unmanned aerial system is developed by Vanilla Aircraft. Image courtesy of Pegasus Actuators GmbH. VA001 medium-altitude, long-endurance aircraft (MALE) unmanned aircraft system (UAS) is designed and built by Vanilla Aircraft for military forces intelligence, surveillance and reconnaissance (ISR), and aerial mesh network relay missions. The long-endurance and increased payload capabilities of the UAS provide dismounted forces with persistent aerial coverage and communications support, while also reducing the operational costs. Development of the UAS began in 2009. Maiden flight of a VA001 prototype (N204HR) was conducted by Vanilla Aircraft in assistance with the New Mexico State University (NMSU) Physical Science Laboratory’s Unmanned Aircraft Systems (UAS) Flight Test Center (FTC) at the Las Cruces International Airport in New Mexico, US, in February 2015. The airplane successfully executed a 24-hour autonomous flight with a payload of 18lb at altitudes of 6,000ft above mean sea level during the flight testing, which included airworthiness assessment of VA001’s airframe, propulsion, control system and ground control segments. Vanilla Aircraft conducted a 25-hour endurance flight testing at the Las Cruces International Airport in April 2016, in support with NMSU’s UAS FTC. 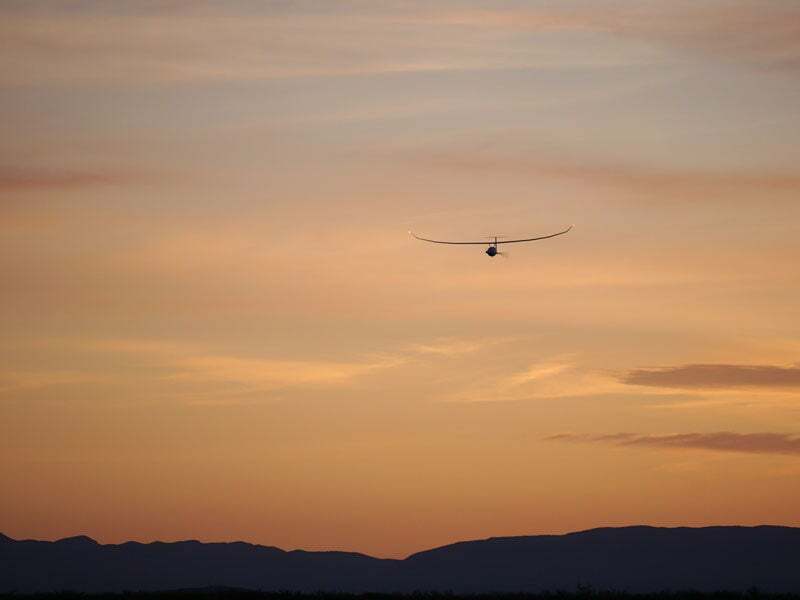 A long-endurance flight of the VA001 UAS was performed in November 2016. With a 20lb payload, the aircraft flew at altitudes between 6,500ft and 7,500ft above mean sea level and stayed aloft for 56 hours without refuelling over Las Cruces. The flight testing was supported by Defense Advanced Research Projects Agency (DARPA) through Naval Air System Command (NAVAIR), and the US Department of Defense’s Rapid Reaction Technology Office (RRTO). The VA001 aircraft system consists of two fixed-wing unmanned aerial vehicles (UAVs), payloads, ground control segment, and associated equipment. The MALE UAV features high-wing design with upward cranked tips. Spanning 36ft, the wings provide improved aerodynamic stability at high altitudes. Its tail assembly is arranged in T-tail configuration, where a tailplane is mounted on top of a tail fin. Weighing approximately 50kg, the airplane can carry payloads up to 13.60kg. The aircraft is launched from a wheeled cradle, which is towed by a pick-up truck using a long cable. Once the UAV reaches flight speed, the cable is jettisoned and the engine is activated. It is recovered with belly landing. The VA001 unmanned airplane is designed to carry multi-spectral imaging sensors for aerial remote sensing missions and communications relay payload to provide reliable communication to tactical units operating in difficult terrains. It can also be fitted with electro-optical sensors to provide intelligence, surveillance and reconnaissance data. The sensor data is transmitted to the ground control station in real-time by means of a secure data link. The unmanned aircraft can execute missions either autonomously using the onboard autopilot or can be manually controlled by its operators from the ground control station. "The long-endurance and increased payload capabilities of the UAS provide dismounted forces with persistent aerial coverage and communications support, while also reducing the operational costs." In the manual mode, the UAV is remotely operated using a computer system. The VA001 unmanned aerial vehicle is powered by an efficient heavy-fuel four-cycle combustion engine, which uses JP-8 fuel. The engine drives a two-blade propeller, mounted in a pusher configuration in the tail section. The onboard Pegasus PA-R-250-8 and PA-R-205-4 type actuators provide aerodynamic flight control for the aircraft. The UAV can fly at altitudes of 15,000ft and reach up to a range of 18,500nm. It has the ability to endure for approximately ten days without refuelling.